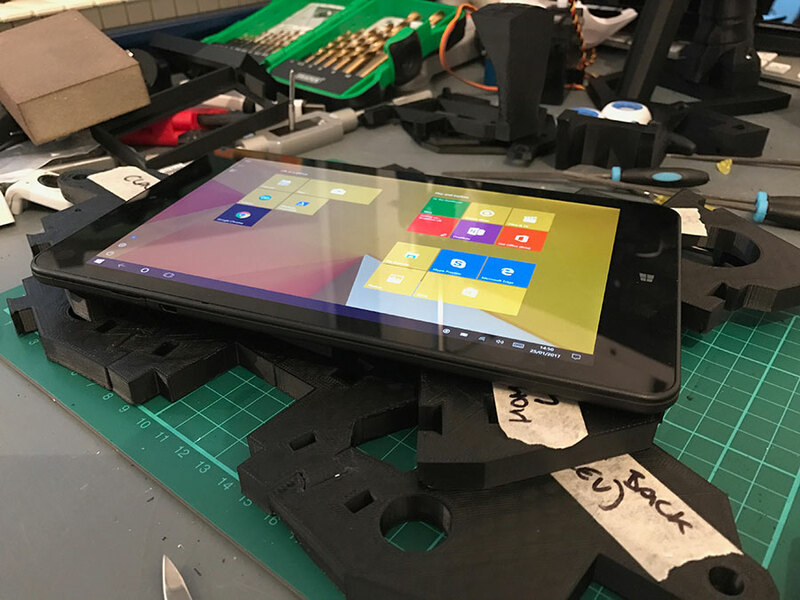 When building InMoov; we looked at using Gael's recommended tablet - the Lenovo Thinkpad 8. Lenovo don't actually produce the Thinkpad 8 now but we managed to find a new one on Amazon with 4G/LTE for £170 which is pretty good. The Thinkpad 8 must be a newer version than the one Gael has used as it has a Micro USB 3.0 instead of a Micro USB port - not sure if it's in the same location either but the specs suggest that it has the same dimensions so it should fit into our InMoov build. The back is currently printing so we'll know for sure in a few days time. Gael mentions that finding a working USB OTG cable with charing proved difficult and supplies a link to a working cable. As our Thinkpad 8 is of a newer design, with Micro USB 3.0 - we needed to source a different cable. After much reading; this cable has been confirmed to work correctly. It seems to be an absolute minefield when it comes to OTG cables as the majority of them will not charge the device - even when they come with an additional USB connector for (more) power, this is only for the peripheral devices. 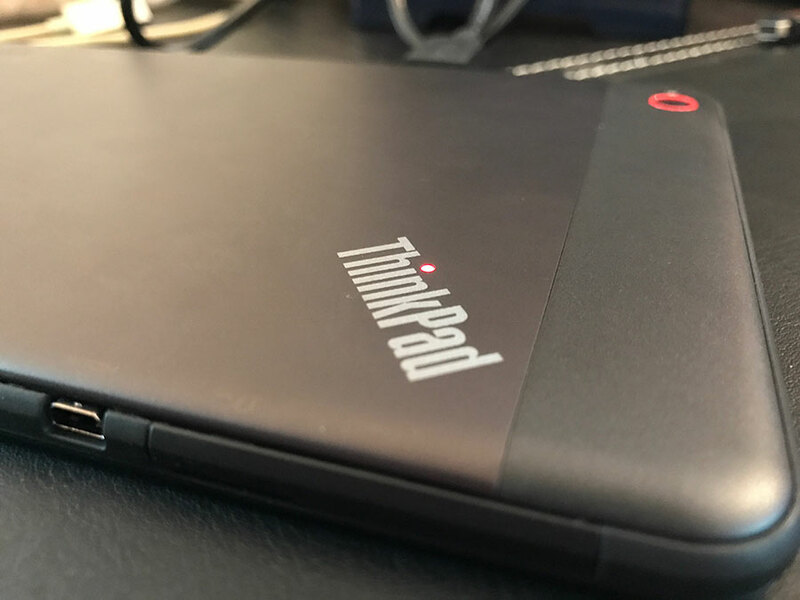 The tablet is a nice shape and size; it's light yet heavy enough to feel good in the hand - the dot in the "i" of ThinkPad lights up red when powered up which is a nice touch. The tablet feels quality; there's no creaking or real "plasticky" feel to it when handled and the Full HD (1920 x 1080) screen is very nice and a rarity on tablets like this. There's one Micro USB 3.0 port, a Micro HDMI port, headphone jack, Micro SD card slot and a SIM slot. Our experience with using the Thinkpad 8 didn't get off to a great start; fresh out of the box running Windows 8.1 Pro, Windows Update would not work at all, nor would Windows 10 Upgrade as they both just stuck on a loop. After lots of annoying attempts and trial and error; in the end - forcing the Windows Update service to stop periodically during the initial Windows 10 Upgrade process (completely fresh install to remove the Lenovo bloatware) we finally got Windows 10 Pro onto the tablet. After the initial software configuration issues the tablet is running fine and is quite a nice device to use to be honest. It's not going to replace a laptop any time soon; certainly not for us dedicated Mac users but it's great for InMoov. We've ordered the OTG Cable noted above and will look into upgrading the Lenovo to Windows 10 x64 (assuming it's fully x64 compatible) when that arrives which will also let us test external hardware connectivity as the cable Gael references is, of course; not compatible with the updated version of the Thinkpad 8. 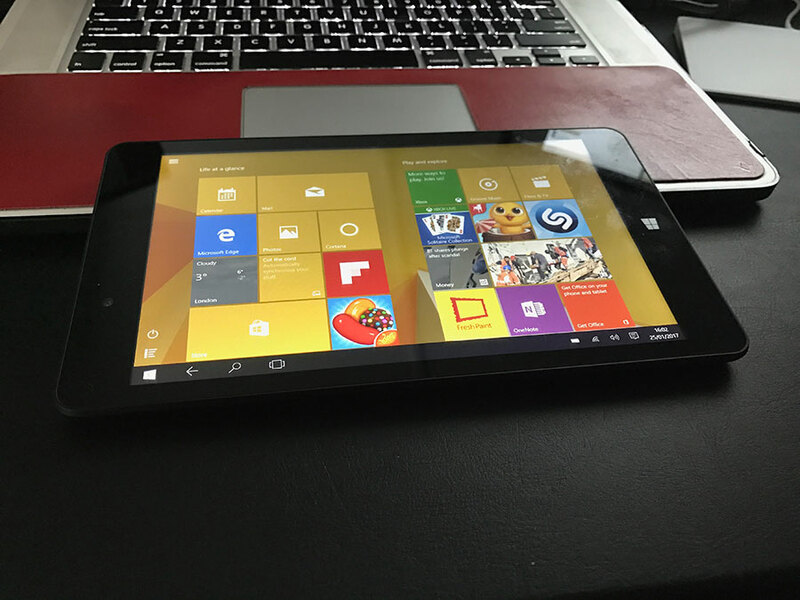 We have an old Linx 8 tablet that we use for testing and with a Hantek 6022BE for an Oscilloscope; it's not as nice as the Lenovo, I think it came with Windows 8 but it's now running Windows 10 Home and I think we got it new for around £65 which is an absolute bargain. The dimensions are only ever so slightly smaller than the Lenovo so it should be a decent budget alternative to the Lenovo and with a few simple shims printed it should fit in rather well. Once we've built the back of our InMoov we'll test fit both of these tablets as well as try them out with MyRobotLab and update this post accordingly.